Posted by Richard Foote in 18c, 19c, 19c New Features, Autonomous Data Warehouse, Autonomous Database, Autonomous Transaction Processing, Oracle Indexes. I’m currently writing up a few blog pieces on indexing in the Oracle Autonomous Database environments, but I thought I’ll begin by introducing what exactly are Oracle Autonomous Database Cloud Services and some of my initial thoughts, as there’s still some confusion on all this. Introduced by Uncle Larry at Oracle OpenWorld 2017, Oracle Autonomous Databases are positioned as “self-driving” Cloud- Based database environments, that automatically address many of the tasks usually performed by DBAs such as patching, backups, security and what is of most interest to me, database tuning. The first of these cloud environments, the Oracle Autonomous Data Warehouse Cloud Service (ADW) was first released in March 2018, with the Oracle Autonomous Transaction Processing Cloud Service (ATP) released in August 2018. So the Oracle Database alone is not an autonomous database. An Oracle 18c database running on your On-Premises Exadata is still not enough to be an autonomous database platform. It requires all the above components, which is why this is only available on the Oracle Cloud environment (and will likely be soon available on the Oracle Cloud at Customer environment, where all these components can also be replicated). Now having a database environment is which many of the mundane DBA tasks (such as database provisioning, patching, taking backups, etc.) can be automated can only be a good thing and the Autonomous Database Cloud services delivers on all these. Creating an Autonomous Database environment truly just takes a few minutes and I could easily connect via SQL*PLUS and SQL Developer on my laptop a few minutes later. However, my key interest here is in database tuning (hey, I’m a database tuning guy) and the capability of the Autonomous Database Cloud Services in being able to self-tune and self-repair itself when database performance issues and inefficiencies are encountered. So my second key point is that is many ways, we already have a “self-tuning” database with Oracle and have had so for many many years. I’m old enough to remember the Rule-Based Optimizer, when the structure of the SQL was critical to performance. I remember tuning Rollback Segments and manually setting extent sizes to make sure no segment got too close to 121 extents else it couldn’t grow any further. I remember manually setting Freelists, I remember having to write my own jobs to run maintenance tasks and setting tablespaces to be in backup mode etc. etc. etc. The Oracle Database has evolved over the years, where Oracle DBAs don’t have to worry about these things. If you wish, you can now configure the Oracle database to also automatically adjust memory components, automatically collect necessary schema statistics, automatically create baselines and to tune SQL queries, etc. etc. etc. All of these Oracle database capabilities are crucial in the new Oracle autonomous database environments, as are new Oracle 18c features and as will be new Oracle 19c features (especially in relation to self-tuning the Autonomous Transaction Processing Cloud Service). The newer autonomous database capabilities are just part of this Oracle database self-tuning evolution, with in the future some new policy-driven based automation thrown into the mix. So are we indeed there yet with a completely self-tuning database with these new autonomous database services? In a word, no. Which brings me to my next key point. This is all very very new. All these autonomous database services are effectively at “Edition One” status. This will all take time to eventually evolve to be truly, fully self-tuning database environments. There’ll be some new cool capabilities and features which will assist in some areas but be initially deficient in other areas. But clearly this is the future and clearly in future releases, more and more self-tuning capabilities will be added that will make things easier to both manage and tune Oracle database environments. Note Oracle Corporation itself (depending on who you talk to) is quite clear that it isn’t there yet, with the web-page on the Autonomous Transaction Processing Cloud services clearly stating that “Workload Optimization* (coming soon)“, but with lots of clues on what’s to come with features such as “Database tunes itself (indexes, memory, partitions, SQL plans, parallelism, optimizer stats) for the incoming workload as data changes over time“. Do many of these upcoming features sound familiar? If you’re not sure, check out the Oracle Database 19c New Features manual. Which brings me to my final key point here. Even if you’re not particularly interested in the Cloud, if you view managing On-Premises environments as being your foreseeable future, some the best things that has happened to you in relation to the Oracle Database comes courtesy to you as a result of Oracle’s strategic direction with the cloud. Many of the best new features introduced in the past few Oracle Database releases, especially in relation to the CBO and much of the online stuff such moving tables and partitions online, moving data files online, converting tables to be partitioned online, converting partitioned tables differently online, merging/splitting partitions online, etc. etc. are clearly going to be critical in a self-managing/tuning database. As a DBA of an On-Premises database environment, you can also take advantage of these new capabilities. It will enable Oracle in its autonomous environments for example to automatically convert that table to be partitioned in this specific manner to improve overall performance, all behind the scenes, without anyone necessarily knowing it’s done so. Is it there yet? No. Is it coming? You bet. Which brings me to indexing. When the first Oracle Autonomous Data Warehouse cloud service was announced in March 2018, one of the key “features” of the new autonomous platform was that indexing was disabled (as were other traditional Data Warehouse database capabilities such as Partitioning, Materialized Views, etc.). But how can you effectively “tune” a database when you take away some of the key tuning capabilities? The short answer is that you can’t, unless the database has somewhat simplistic data workloads and data structures. Remember, this was “Version One” with the first autonomous database environment and the initial strategy was to make the Oracle database not smarter, but dumber. Simplify it such that DBAs can’t easily “break” things and by simply making the Exadata platform do all the heavy lifting with regards to database tuning. A more simplified environment makes things a little easier to “self-tune” as there are fewer moving parts to worry about. For more simplistic Data Warehouse environments, this might all be adequate. For those of you who follow my blog and my previous discussions on indexing on Exadata, dropping all indexes on Exadata, even on Data Warehouse environments was generally a bad idea. So providing an Oracle database platform, even an autonomous one running on an Exadata platform, where all indexing was effectively disabled, was always going to have performance shortfalls in some scenarios. Try running ad-hoc queries on the supplied SSB LINEORDER table for example. Smart Scans, Storage Indexes, HCC, Result Caches, etc. will only take you so far. So as I said, Oracle evolves and improves and now allows database indexes to be created in the Autonomous Data Warehouse cloud service. Which will be the focus on upcoming blog posts, so stay tuned. Posted by Richard Foote in Oracle Indexes, Oracle Performance Diagnostics and Tuning Webinar, Performance Tuning, Performance Tuning Webinar. Looking at a number of real world scenarios and numerous actual examples and test cases, this seminar will show participants how to confidently and reliably diagnose performance issues. The seminar explores in much detail the various diagnostics tools and reports available in Oracle to assist in determining any database performance issue and importantly WHEN and HOW to effectively use each approach. For a detailed look at seminar content, please visit my “Oracle Performance Diagnostics and Tuning” page. The webinar will run over four days between 9-12 July 2019 between 6pm-10pm AEST. For the following webinar series, you can purchase your registrations here via credit card (if NOT based in Australia), else contact me if you wish to pay via direct bank transfer or if you’re based in Australia (as GST must be added). Note: Australia, you have actual in person seminars running throughout Winter 2019 you can attend..
I’ve had heaps of correspondence regarding this so please book early to avoid disappointment as there will strictly be limited places to ensure a quality training experience for all attendees, with plenty of opportunity for questions. Further webinars will be scheduled for later in the year, so stay tuned. Posted by Richard Foote in Automatic Indexing, Autonomous Database, Oracle Indexes. I’ve recently received a number of correspondences regarding one of my most popular blog posts, dating back to February 2008: Index Rebuild vs. Coalesce vs. Shrink Space (Pigs – 3 Different Ones). “If Oracle19 does everything for you and all the various indexes structures get automatically created, used, applied, tuned, maintained, partitioned, etc. etc., then I’ll have nothing to write about 🙂. The fact this was stated some 10 years before the release of Oracle Database 19c with indeed the new Automatic Indexing capability is kinda funny. I would however like to state a few points. Firstly, congratulations for the impressive timely predication should go to Robert who made the initial reference to Oracle 19c in the comments. Although the changing in Oracle database versioning helped in getting the predicted Oracle version correct, I did at least make the comment that I thought some form Automatic Indexing was likely before Oracle 19c. Although not all the predicted capabilities are there yet (no auto index maintenance, no auto index partitioning, not all index structures are yet supported with auto indexing, etc. ), I do predict that these will all be implemented within a few Oracle database releases (early 20s). I stated there would be nothing to blog about if automatic indexing became a reality, which of course is not true either. The more one understands how Oracle actually works, the more one can proactively identify and address any potential issues and deficiencies. Automatic Indexing is ONLY going to be available on Exadata and the Oracle Cloud platform, so the majority of Oracle On-Premises database users will still need to manually manage indexes. Understanding how Automatic Indexing capability works means one can potentially highlight and learn how to more appropriately manage indexes manually. 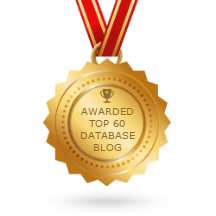 So finally, yes I will of course be blogging about Automatic Indexing and about indexing in general in the new Autonomous Database cloud environments. I’ll start with some initial thoughts and examples of indexing the Autonomous Data Warehouse Database. Posted by Richard Foote in Oracle Indexes, Oracle Performance Diagnostics and Tuning Seminar. I’m very excited to announce the first public running of my new “Oracle Performance Diagnostics and Tuning” Seminar throughout Australia and New Zealand this coming winter 2019. (See my Oracle Performance Diagnostics and Tuning Seminar page for all the seminar content and details). It’s a fun, but intense, content rich seminar that is suitable for people of all experiences (from beginners to seasoned Oracle professionals). As usual, class sizes will be intentionally small to ensure all attendees get the maximum educational benefit from seminar. Early bird rates are available so please book early to avoid disappointment as I don’t get the opportunity to run these events very often. I’ll soon announce dates for a seminar in my native London, UK and the first series of webinars for this training. Stay tuned !! Just a short note to say that DOAG have now a registration page for my upcoming “Oracle Indexing Internals and Best Practices” seminar running in Berlin, Germany on 8-9 May 2019. Please mention you heard this seminar from me when booking and just note that places are strictly limited for these events, so please book early to avoid disappointment. This is likely to be the only time I run this seminar in mainland Europe this year, so don’t miss this unique opportunity to learn in person all that’s worth learning in to how to use and maintain indexes judiciously to improve Oracle database/application performance. Oracle Database Appliance: During my days at Oracle Corporation, I had quite a bit to do with helping customers on the ODA and always felt it was an great solution that often got drowned out by Exadata and other Oracle engineered solutions. In the session, I’ll be discussing the various unique advantages on running Oracle Databases on the Oracle Database Appliance (ODA), some of the new features available on the ODA (including now Hybrid Columnar Compression), some use cases for deploying Oracle Databases on the ODA and importantly, some of the more common mistakes and misunderstanding regarding how to best maintain an ODA environment. Indexing and Partitioning: As databases get ever larger in size and complexity, the Oracle Partitioning option has become more common and a more important feature in Oracle database deployments. This presentation will look at some of the important indexing strategies that can be applied in a Partitioned Database environment in order to effectively maximise both database performance and database management practices. It will also discuss some newer features introduced in 12c R2 and 18c that simplifies the migration to an effective partitioning strategy. So lots of database stuff to talk about and the best part is that’s all free !! Simply follow the registration link to book your place. But please book early to avoid disappointment as places are strictly limited (all venues are the local Oracle offices). Hope to see you at one of these events !! Posted by Richard Foote in Lifetime Achievement Award, Oracle Indexes, UKOUG. I was recently very honoured and flattered to have received the “Lifetime Achievement Award” Speaker Award from the UKOUG. I have only managed to get to the excellent UKOUG Tech conferences on a couple of occasions, so it was both a thrill and a surprise to be so honoured. Unfortunately, I wasn’t able to make it for my third visit this year and so was unable to be there to accept this award. However in a sign of true dedication from the UKOUG President, Martin Widlake has come all the way over to beautiful Canberra, Australia just to present the award personally to me (OK, he might have plans do a couple of other things during his visit to Australia). Posted by Richard Foote in Connect 2018, Oracle Indexes. After initially not being in a position to make it this year, I will now be presenting at the AUSOUG Connect 2018 Conference in Melbourne this coming Wednesday, 21 November 2018. Oracle Database 12.2 and 18.3 releases have introduced a number of extremely useful new indexing features and enhancements. These include cool capabilities such as automatically tracking index usage, advanced index compression enhancements, deferred invalidation of cursors during index creation/rebuild, automatic index maintenance during new online operations (such as online table moves and conversion to partitioned objects), JSON indexing enhancements, Memoptimized Rowstore and Scalable Sequences. There might even be an Oracle Database 19c surprise thrown in. These will all be discussed in detail with practical examples on how they can be usefully deployed to improve overall database performance. This conference has a fabulous lineup and I’m really excited at being able to now take part in it all. A special thank you to the AUSOUG team for catering for me at such late notice.